Today, the utility of a car configurator is well-known: the configurator is an effective tool used in the sales process and helps the client in faster choosing his preferred configuration, leading him to the proper dealers. It has an important contribution to the marketing policies of manufacturers and dealers world-wide. 3D car configurators are new, and should be built according to some quality rules. 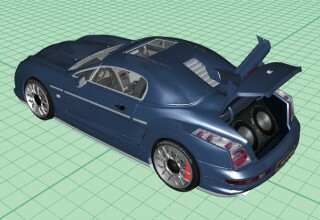 This article discloses the goals pursued by the software engineering process of 3DCar(TM), one of the first (probably the very first) fully interactive 3D car configurators, a project started in 2005, at a time when even 2D car configurators were a rarity. 3DCar (TM) was disclosed to public only a few days ago on YouTube! At the time the project was started, technology for browser embedding was pretty unstable, caused significant performance losses and could not sustain the high interactivity of such a complex application. Other solutions that appeared meanwhile and used various technologies for browser embedding, used to show a lot of blue-screens and crash the browsers or the whole operating system. 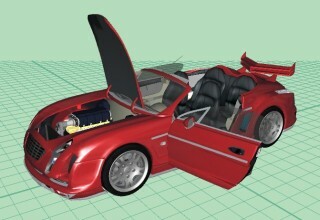 3DCar uses a web-start ability (like some of the Java applications use) for usage with browser. This assures very good performance and allows it to display models consisting of over 1 million triangles even on 5-6 year old PCs. However, new technologies were constantly monitored and finally, a robust and appropriate solution seems to have appeared (more on this in a future article). 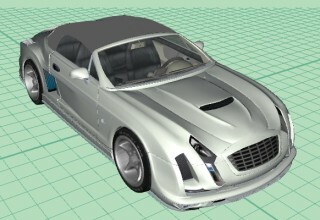 You can learn more about 3DCar (TM) and see YouTube videos at the 3d car configurator website. Bluemind Software is the authors company and it's mission is to brings it's contribution by means of quality software development and webdesign services, along with developing it's own innovative products, like 3DCar.